마세이오의 볼거리와 사운드를 즐기고 싶으시다면, Hotel Ponta Verde Maceió이 바로 완벽한 초이스 입니다. 이곳에서 생생한 도시의 모든것을 쉽게 즐기실 수 있습니다. 호텔은 프라이아 드 폰타 버드, 잔가다스, 노바 일하스 투어 같이 셀수 없이 많은 관광지에서 한 걸음 움직이면 편안한 휴식처가 되어 주는 곳입니다. 마세이오에 위치한 호텔의 장점은 비할데 없는 서비스와 오락 시설이 마련되어 있는 것입니다. 24시간 프런트 데스크, 장애인용 편의시설, 여행 가방 보관, 룸 서비스, 회의시설 등 적지 않은 시설들이 있는 Hotel Ponta Verde Maceió 숙박시설은 도심에 있는 다른 호텔들과 비교하여 현저하게 독특합니다. 또한, 모든 객실은 편안하고 안락하게 꾸며져 있습니다. 대부분의 객실에서는 고객님의 편안함을 더하기 위해 에어컨, 모닝콜 서비스, 미니 바, 전화기, LCD TV / PDP TV 등의 편의 시설을 제공해 드립니다. 호텔에서 실외 수영장 같이 독특한 여가를 즐길 수 있는 기회가 많이 있습니다. 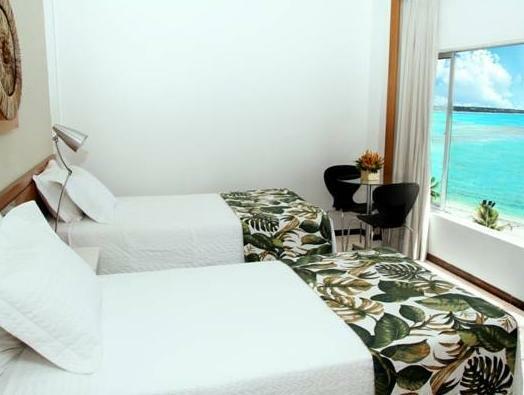 Hotel Ponta Verde Maceió 숙박시설은 어떤 이유로 마세이오에 방문하셔도 지내기에 탁월한 곳 입니다. Brazilian credit card holders may pay in up to 3 installments at the property. Please note this offer is not applicable to the deposit policy. Please let the hotel know if you are arriving with children. 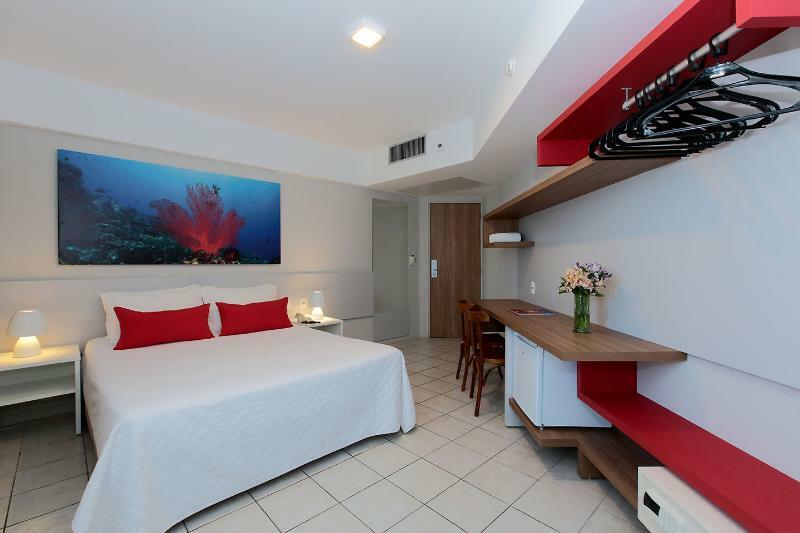 According to the Brazilian Federal Law 8.069/1990, minors under 18 years of age cannot check into hotels unless they are accompanied by their parents or a designated adult. If a minor is accompanied by an adult other than his parents, it is necessary to present a written authorisation for the minor to check into the hotel. Such authorisation must be notarised and signed by both parents, and presented along with notarised copies of their IDs. All minors under 18 years of age also need to present a valid ID with photo, to prove their identity and that of his/her parents. This must be presented even if a minor is accompanied by his/her parents. Please note that parking is subject to availability.